It’s been more then month since previous Locus version. I’m anyway very very glad to introduce a new version that brings many interesting features. I’m sure you’ll like it. And what are the most interesting features? The most interesting news are ability to enable shading for all Online (since Android 3.0+) and Vector maps. Shading is completely without the need of an internet and it’s based on downloaded elevation files. Currently you have to download them (HGT files) manually (or thanks to Fill altitude feature at specific place). Later, these files will be available for download in Locus Store. Support for Personal maps is also planned, don’t worry. We’re also aware of speed of vector maps. 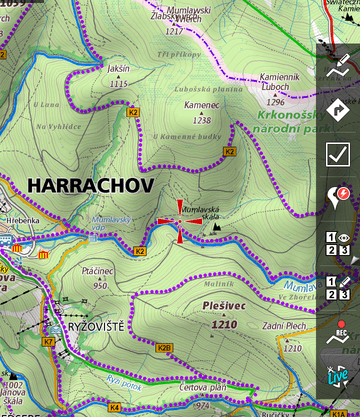 In a new version will be another improvements in vector maps speed mainly between levels 10 – 14. Hope these critical levels will be now much more usable. Also, because levels 1 – 8 are usually very empty and mainly very slow, we prepared a small surprise. In Locus Store > Maps is now for Free download, overview map of whole world. The map has around 15 MB, so we really suggest to download it. This map will cover really whole World and will be automatically used without the need to do anything from you. Everytime you zoom out to level 8 and below, the World map will appear to give you a nice and fast overview of mother Earth. How often you search with compass and need to check what the he** is wrong with GPS? Or just need to enable GPS in Locus and also check an orientation etc? It will be very easy now. Saving battery is our highest priority. Battery is crucial when hiking in the wild. For this purpose we prepared a new feature that allows automatically turn On screen, when you’re near waypoint you guide on or during navigation when some turn come closer. This is especially useful on bike during a ride. As a small bonus, we created ability to turn On/Off screen by two swipes gesture before top proximity sensor of your device. Using Text-to-speech for navigation is very useful. It gives freedom to say whatever is needed and usually exists TTS Engines for every language. Problem is that they usually do not speak correctly. Because of this, we prepared a new system that will be automatically used when you’ll use TTS for navigation. The system is actually available only for English, German, Czech and Japan TTS. If you want to know more, follow this link . Same if you want to contribute another language. 1. the inverted maps (night mode) are usually just black if there is no structure in the map at high zoom levels. Thats a big advantage because it saves a lot of battery while tracking a tour. I generally use the app on night mode only (even at noon). If you would still see shading at high zoom levels the background wouldnt be black anymore => higher energy consumption. 2. as Voldy pointed out already shading on a very high zoom level won’t give you any additional useful information. I second the question from Thomas. Why does the hillshading disappear in the higher zoom levels? Is this a bug or intended? Is there a config switch to switch it on permanently? Shading works only for zoom-levels <= 15. This is not technology problem we can offer shading for higher zoom-levels. We thing that shading for higher levels has no reason because for the most of places you lost the perspective. The result of shading for higher levels is only gray tile without any terrain information. Or am I wrong? Well, i just compiled a map (bitmap) with Maperitive/MOBAC with the zoom levels 12, 14, 16 & 18. On the Samsung XCover2 the shading is still very readable on zoom level 16. On my computer screen (24″) even on zoom 18 the shading is readable and you can get a sense of the relief. So i don’t think you are right. It would be useful, if this function is user configurable, so that i could decide if it goes until zoom 14 or beyond. And besides, if there’s no penalty in processing power, it could be enabled for all zoom levels per default. As it is now, it’s confusing – when you zoom in, you abruptly lose any sense of relief and everything turns flat. I know there are elevation lines, but they are more difficult to read – doesn’t work for a quick glance. Please consider this for the next release. Map shading works fine until I zoom deeper in – then it is no more rendered. I would like to see the mapshading at higher zoomlevels. How can I adjust at whith zoom level the shading disappears? It would be perfect if my downloaded maps could use the height Information AND if it were possible to download the .hgt – files ALONG A TRACK or WAYPOINTS, just like the maps. Do I understand correctly that the World map is supposed to be activated automatically when no other Card is showing at Level 8 or lower? It doesn’t do so, I have to select it manually. Yes it should work in the way you described: select Locus vector map and zoom-out. 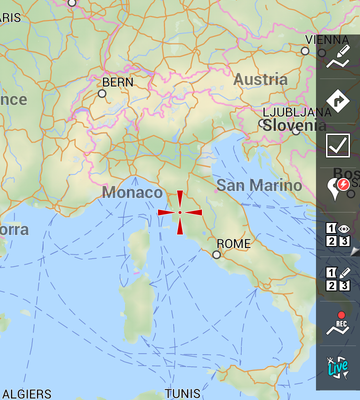 For zoom-levels < 9 locus automatically switch vector map to world map. Please note: It depends, how did you get the world map. Best solution is to download it from Locus store. Go to the Menu > Store > Maps > Vector maps free > chose World map (it needs restart of Locus after downloading). Locus automatically download it and place on into correct directory – note: map will not appear in list of vector maps. Absolute cool! I downloades the .hgt files with “DEM1 – World Elevation Data” from play.Google. DEM1 is a Downloader for hgt-files. If you click the advertising banner inside DEM1 you come to its full mode and can edit the Lat/Lon-quadrant or choose via built in map. In Locus you put the hgts into: /locus/data/srtm, restart Locus and anable the shading in Map > Extended > Map Shading. So so so glad I found Locus during my early smartphone days – best android app for mapping / walking / geo-caching. Love it. Keep up the great work. Locus is the best Android experience, better than Android itself ! 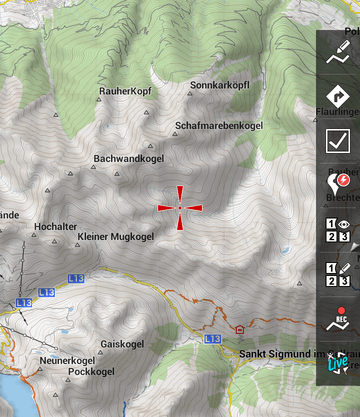 Nice New features especially shading for vector maps. I found the menu Tod actjvate shadibg, but where to get those hgt files? Would be nice to geht a small howto. – Then choose Offline and submit downloading of needed hgt files.